There has always been a geographical correlation between areas rich in raw materials and the industrial districts that use them; this is the case, for example, with the sectors that produce building materials. The availability and quality of natural resources were inextricably connected with the rise of industry in Abruzzo, where the elements of undisputed importance were the brick kilns; with their geographical concentration, they gave rise to a meaningful industrial framework through the economic and social relations they engendered. 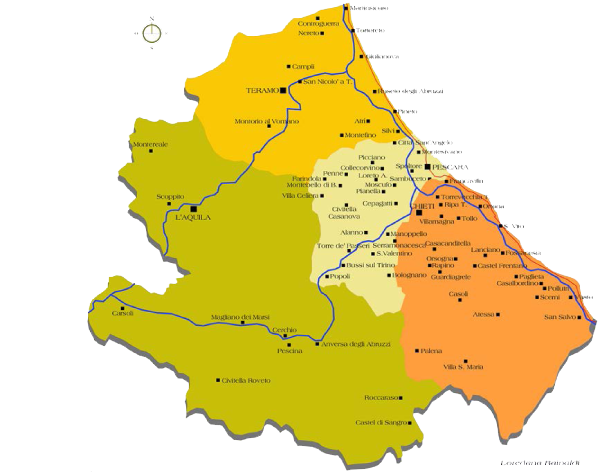 Though these facilities had essentially been evenly distributed across Abruzzo since antiquity, beginning with the advent of the continuous kiln at the end of the 1800s, one can note a particular concentration in the Pescara Valley. There, interesting growth dynamics in the building components and quarrying industries, related primarily to the development of the Rome-Pescara railway, promoted rather significant economies. During the first two decades of the 1900s, the kilns at Popoli, Bussi sul Tirino, Bolognano, Torre de’ Passeri, San Valentino, Alanno and Manoppello were put into operation, and there were 12 Hoffmann kilns at Pescara, an important centre for government, commerce, politics and of course industry. A new territorial hierarchy emerged around the fledgling fourth province of Abruzzo located at the centre of the primary national and regional connecting lines, supported by intensified maritime traffic. The port structure took on an important economic role for some sectors, such as the brick industry, which imported coal and timber from the Balkan coast and exported bricks. With the presence of physical and human resources and the great demand for construction works, the kiln operations became a production chain consisting of a number of companies and an economically significant set of satellite activities, despite the fact that the kilns at the turn of the century were still linked to scattered manual labour inadequate for the increasing orders and expanding market. It was during the years between the two world wars that a new phase of production cycles was seen; almost all of Abruzzo’s furnaces were mechanized, and the operations for preparing and extruding the clay were streamlined and mechanized as well. 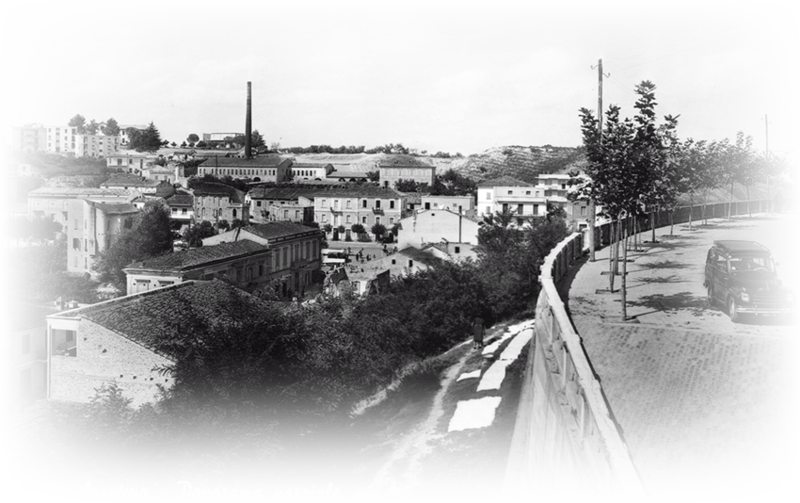 In the 1920s the city of Pescara also began to expand in the direction of the Vestina valley. Though agriculture still drove the local economies, the new Pescara-Penne rail line created new economic possibilities by bringing together the zones along the Tavo and Saline rivers which had always served as infrastructure in support of operations such as grain mills, olive oil mills, fulling mills, paper mills and of course kilns (including those producing dishes). This was also the area where the production of bricks was so typical as to be considered one of the specialities of the territory. Continuous kilns sprung up in Penne (called the city of bricks), Loreto Aprutino, Picciano, Spoltore, Città Sant’Angelo and Montesilvano. They become drivers of local development by creating a network of companies aimed at developing new processes and products both within individual production chains and between companies in complementary sectors.